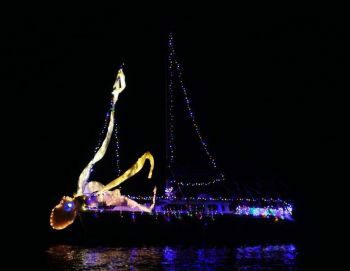 Steve and Francie Durand’s Second Sun first place finish in the 2017 San Carlos Light Parade. That’s an octopus, not Steve falling off the boat. Very clever lighting. Congratulations.